craftXcraft - NoDa Brewing Company | Hello, Gordgeous! Fall Signs — Crowned Sparrow Craft Co.
Hey there, Gordgeous! In honor of the return of one of our favorite NoDa Brewing Company beers, we are going rustic and pumpkiny with our September craft! 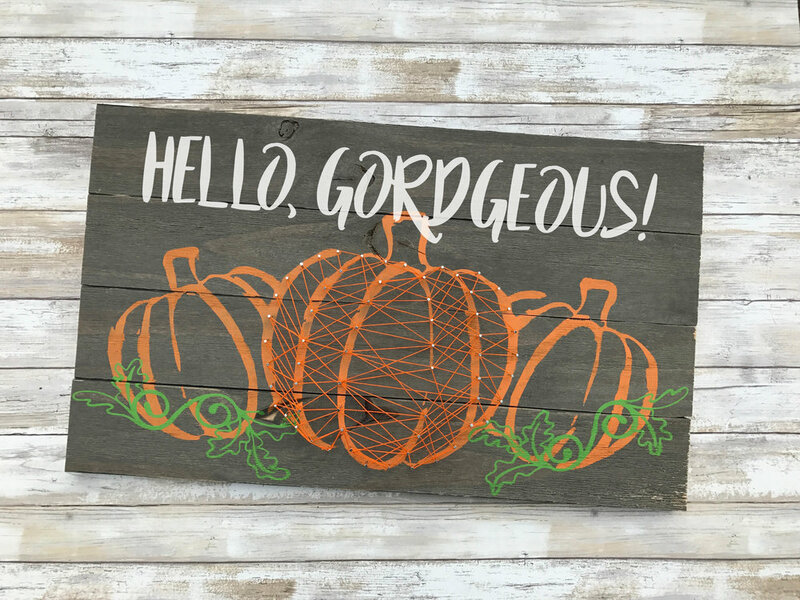 Customize this large wooden piece with your favorite fall phrase (Hello, Gordgeous is kinda our favorite, but Happy Fall Y'all is super cute too! ), paint, and string color for an autumnal masterpiece! - Using a guide to hammer in nails for nail & string art and stringing techniques to add another layer of interest to your piece. NoDa Brewing will have their tasty, award-winning craft beers on tap (including Gordgeous!) and available for purchase. Tin Kitchen will be on site and catering to your munchie needs!